Despite crossing the finish line in first, Envision Virgin Racing's Sam Bird could not hold on to his controversial victory as stewards handed him a five-second post-race penalty for unfair contact with DS Techeetah's Andre Lotterer. The battle for the 2018-19 Formula E championship seems to be getting fiercer with each passing round Things were no different during the sport's landmark 50th race in Hong Kong as fans witnessed some close-fought battles right till the very last lap. Starting the race from 7th place, Sam Bird (Envision Virgin Racing) eventually emerged victorious, followed by Edoardo Mortara (Venturi) in second and previous race winner Lucas di Grassi (Audi Sport ABT Schaeffler) in third. However, these results were provisional as immediately after the chequered flag dropped, Sam Bird's race-winning manoeuvre came under investigation of the stewards. In the last lap of the race, Andre Lotterer (DS Techeetah) had been leading the pack with Sam Bird close on his tail. However, in an overtaking move, Bird ended up making contact with the back of Lotterer's car, puncturing the German’s rear tyre. This left Lotterer furious and ended his hopes of winning the race as he limped back to the pits, only to secure a 14th place finish. 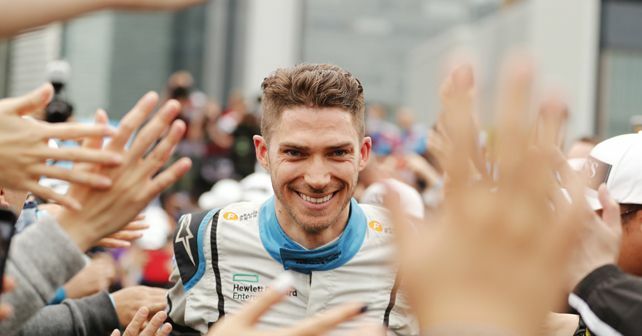 While Bird's post-race penalty did not remedy Lotterer's loss, it, however, sent Bird down the order in sixth place, which meant that Edoardo Mortara, who had crossed the finish line in second, was declared the race winner while Lucas di Grassi became the runner-up. Bird's teammate Robin Frijns secured the final spot on the podium. Things also didn't go well for Mahindra Racing as the Indian team suffered a double DNF (their first in the season). Just minutes into the race, both Wehrlein and d'Ambrosio (Mahindra) ended up colliding into the stricken car of Felipe Nasr (Geox Dragon), who went into the wall at Turn 2. While this incident brought out the first FCY (Full-Course Yellow) within five minutes of the race start, the race resumed after a temporary stop, with 13 minutes being added to the clock. With less than 18 minutes left, the safety car was deployed yet again as this time, Stoffel Vandoorne (HWA Racelab) came to a dead stop due to a technical failure. With him, Sebastien Buemi's race (Nissan e.dams) also came to an end as he suffered damage on his front left wheel while coming through the chicane. After both cars were recovered to the pits, the race restarted with 11 minutes left on the clock. This time, Lotterer retained the lead, followed by Bird and Mortara in second and third, respectively. However, the third Safety Car deployment (due to Oliver Rowland's retirement) proved to be a problem for Lotterer as he and Bird swapped positions repeatedly making both drivers vulnerable to some perilously-close overtaking moves. Then, moments before the chequered flag, Bird's contact with Lotterer sealed the latter’s fate. Lotterer's unfair race end was all the more disconcerting for DS Techeetah as their other driver, Jean-Eric Vergne, also suffered a DNF in the race, leaving the team with a no-points finish. While disappointment and fury ruled one end of the spectrum, the other end was all about celebrating as this was Mortara's maiden Formula E win, and his team's as well. In a race with 8 DNFs, di Grassi too could not have asked for anything better, being able to convert his 5th place start into a 2nd place finish. After round five, Sam Bird (Envision Virgin Racing) leads the championship with 54 points, followed by Jerome d'Ambrosio at 53. Behind by just one point, both Lucas di Grassi (Audi Sport ABT Schaeffler) and Edoardo Mortara (Venturi) are tied for the second spot with 52 points each.